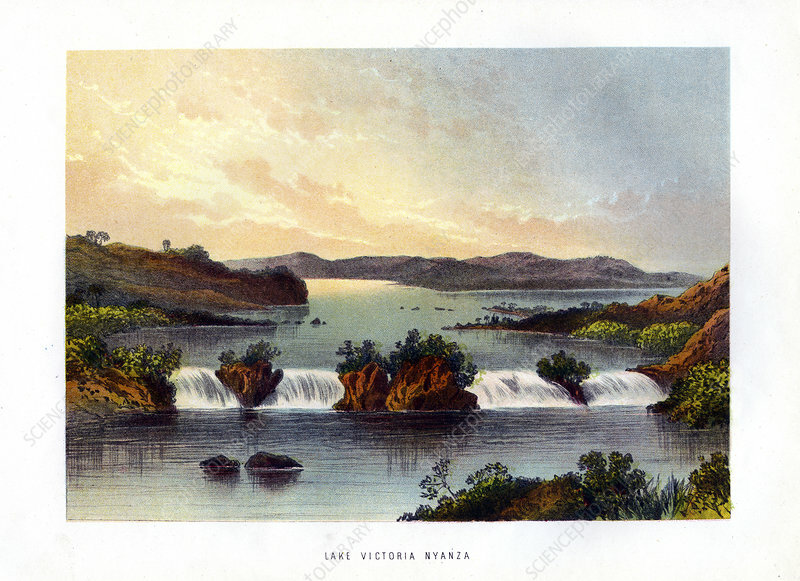 Lake Victoria Nyanza', c1840-1900. Lake Victoria is 68,800 square kilometres (26,560 square miles) in size, making it the continent's largest lake, the largest tropical lake in the world, and the second largest fresh water lake in the world in terms of surface area. Located between Tanzania, Uganda and Kenya, in 1858 it was documented by Richard Speke, in his search for source of the River Nile.